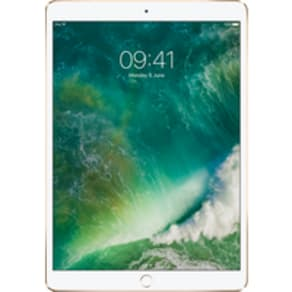 Apple iPad Pro 10.5" (2017) (64GB Gold Refurbished Grade A) at £30.00 on O2 Refresh Flex (36 Month(s) contract) with 100 texts; 1000MB of 4G data. £28.84 a month. Apple iPad Pro 12.9" (2015) (128GB Silver) at £30.00 on O2 Refresh Flex (36 Month(s) contract) with 100 texts; 15000MB of 4G data. £40.95 a month. Extras: Apple Pencil (White). Apple iPad Pro 12.9" (2017) (64GB Silver) at £30.00 on O2 Refresh Flex (12 Month(s) contract) with 100 texts; 15000MB of 4G data. £88.00 a month. Extras: O2: Popcorn Pass Membership. 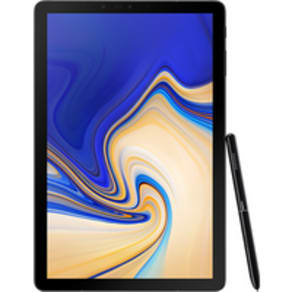 Samsung Galaxy Book 10.6 (64GB Black) at £30.00 on O2 Refresh Flex (24 Month(s) contract) with 100 texts; 3000MB of 4G data. £41.42 a month. Extras: O2: Popcorn Pass Membership. Apple iPad Pro 12.9" (2018) (1000GB Silver) at £20.00 on O2 Refresh Flex (36 Month(s) contract) with 100 texts; 1000MB of 4G data. £66.34 a month. Apple iPad Pro 10.5" (2017) (64GB Rose Gold) at £30.00 on O2 Refresh Flex (36 Month(s) contract) with 100 texts; 1000MB of 4G data. £32.34 a month. Extras: Apple Pencil (White). Samsung Galaxy Tab A 10.5 (32GB Black) at £30.00 on O2 Refresh Flex (24 Month(s) contract) with 100 texts; 3000MB of 4G data. £23.92 a month. Extras: O2: Popcorn Pass Membership. Huawei MediaPad T3 8 (16GB Space Grey) at £30.00 on O2 Refresh Flex (30 Month(s) contract) with 100 texts; 2000MB of 4G data. £12.80 a month. Apple iPad Pro 12.9" (2018) (512GB Silver) at £30.00 on O2 Refresh Flex (36 Month(s) contract) with 100 texts; 10000MB of 4G data. £58.84 a month. Alcatel 3T 8" (16GB Metallic Black) at £30.00 on O2 Refresh Flex (30 Month(s) contract) with 100 texts; 25000MB of 4G data. £18.00 a month. Alcatel Plus 10 (32GB Silver) at £30.00 on O2 Refresh Flex (12 Month(s) contract) with 100 texts; 1000MB of 4G data. £24.50 a month. Apple iPad Pro 12.9" (2017) (256GB Gold) at £350.00 on MBB Max 20GB (24 Month(s) contract) with 20000MB of 4G Triple-Speed data. £55.00 a month. Apple iPad Pro 10.5" (2017) (64GB Space Grey) at £30.00 on O2 Refresh Flex (12 Month(s) contract) with 100 texts; 25000MB of 4G data. £81.00 a month. Extras: O2: Popcorn Pass Membership. Samsung Galaxy Tab S3 9.7 (32GB Black) at £30.00 on O2 Refresh Flex (36 Month(s) contract) with 100 texts; 3000MB of 4G data. £25.06 a month. Cash-back: £70.00 (by redemption). Alcatel Onetouch Tablet Family Tablet Bundle (8GB White) at £30.00 on O2 Refresh Flex (36 Month(s) contract) with 100 texts; 15000MB of 4G data. £18.50 a month. Extras: O2: Popcorn Pass Membership. Apple iPad Pro 12.9" (2018) (64GB Silver) at £30.00 on O2 Refresh Flex (30 Month(s) contract) with 100 texts; 50000MB of 4G data. £63.47 a month. Apple iPad Pro 11" (2018) (256GB Space Grey) at £30.00 on O2 Refresh Flex (30 Month(s) contract) with 100 texts; 15000MB of 4G data. £52.60 a month. Extras: O2: Popcorn Pass Membership. Huawei MediaPad T5 10 (16GB Black) at £30.00 on O2 Refresh Flex (36 Month(s) contract) with 100 texts; 15000MB of 4G data. £22.67 a month. 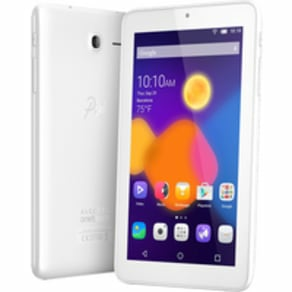 Alcatel Onetouch Tablet Pixi 3 (8) (4GB White Refurbished Grade A) at £30.00 on O2 Refresh Flex (24 Month(s) contract) with 100 texts; 25000MB of 4G data. £17.75 a month. Alcatel A3 10 (16GB White & Blue) at £30.00 on O2 Refresh Flex (12 Month(s) contract) with 100 texts; 25000MB of 4G data. £25.75 a month. At Westfield, you will find all the latest computers, tablets and iPads, making it easier than ever to stay up to date with all the high-tech releases. 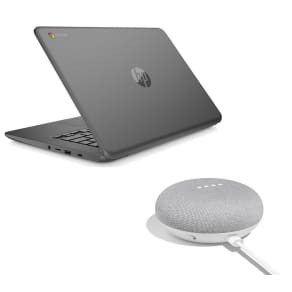 From desktop computers for your home office, to laptops and tablets to take with you wherever you go, our quality retailers have all the best brands in stock. If you’re looking for Apple products, you’re in luck – choose an iPad or iPad Mini to enjoy games and internet on the go. To add a touch of style to your latest smart devices, or to protect them from knocks and scrapes, take a look at our range of accessories. There’s everything from smartphone covers to tablet cases and laptop bags, all designed to keep your tech in tip-top condition. Discover all the latest computers, tablets and iPads online today, or visit your local Westfield shopping centre to speak to retailers about all your options.